Dietenheim, the third…This weekend it’s time again. For the third time in Dietenheim, not far from Ulm, the fair for sustainable clothing takes place under the motto “Dietenheim attracts”. And of course we will be there again, just like at the first events. A special highlight for us this year. 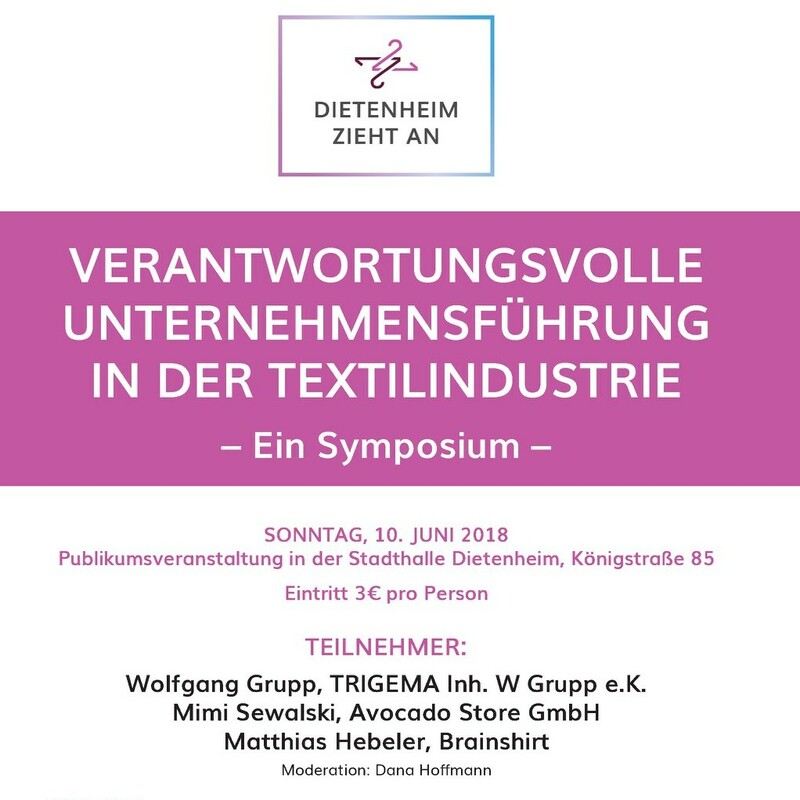 The symposium with Mimi Sewalski from the Avocadostore and Wolfgang Grupp from Trigema on the topic of “Responsible Corporate Management in the Textile Industry”. I am very much looking forward to discussing this with Wolfgang Grupp. He is one of the first in the industry to really practice the topic of sustainable corporate management par excellence, and has been doing so for years. I am curious. By the way, we have almost our entire business and summer collection with us in Dietenheim. If you have no plans for tomorrow – we are looking forward to your visit.